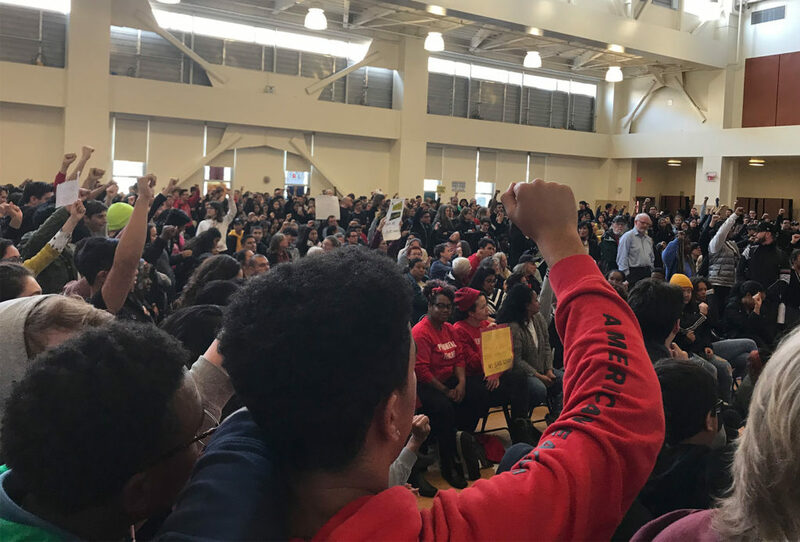 More than a hundred parents and teachers packed the Oakland Unified School District’s boardroom for Wednesday night’s meeting, with dozens more watching from the 4th floor overflow room, following a march from Laney College earlier that afternoon. The topic of contention: school closures. Parents who are angry about the board’s October decision to close 5 Oakland elementary schools presented the board with individual petitions showing hundreds of signatures, part of an effort to recall the five board members. The recall petition targets OUSD Board President Jody London, Vice President Jumoke Hinton Hodge, as well as members Gary Yee, Christopher Dobbins and David Kakishiba, who all voted to close Lakeview, Lazear, Marshall, Maxwell Park and Santa Fe elementary schools on October 26. The closing of these schools is expected to save the OUSD $2 million a year, according to a report from district CFO Vernon Hal. The first few hours of the school board meeting consisted of a routine rundown of agenda items ranging from charter schools petitioning to expand their student bodies to a tribute to the McClymonds High School football team, but most of the attendees were there to discuss school closures. Frustrated parents, teachers and member of the Occupy protest dominated the public comment period, speaking against the shuttering of schools and expressing concern for the more than 900 students who will need to relocated next year. But the presentation of last night’s recall petition would only be a first step. School board members are elected officials and the signatures gathered will need to be verified by the county election office. CPACC is currently working with the NAACP to gather the more than 1,000 signatures per district needed in order to get the recall measures onto next year’s ballot. The OUSD board considered several factors when deciding which schools to close, including enrollment numbers, facility capacity, the number of students who live in the neighborhood, the financial state of the school, and its academic performance. 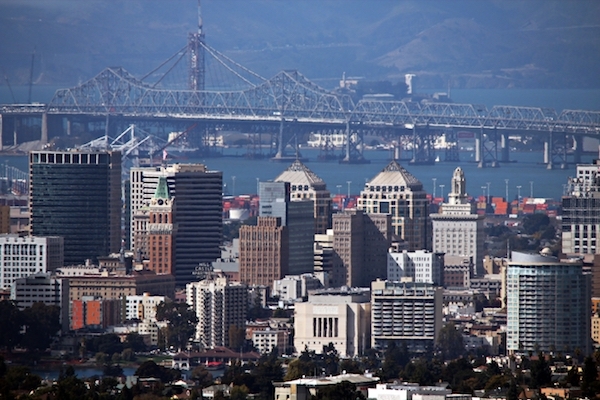 The closures are part of the Oakland Unified School District’s plan to close a currently undetermined number of schools. Previous estimates place that number between 20-to-30. The school district is currently in the process of restructuring school attendance boundary areas for families who live near the schools slated for closure, since the schools will be closing after the 2011-2012 school year. This includes trying to relocate the 906 students who will find themselves without a school next year. I count myself among the Oakland residents who support the school closures. As a friend of an OPS teacher and volunteer, I have heard many stories about the terrible administration and waste of schools. By reducing the number of schools, hopefully we can increase the quality of the education in the remaining schools. I’d like to see less money going to administrators and more to the teachers and classrooms. While I sympathize with the disruption of having to change schools, reducing the number of schools is a good way to achieve this.